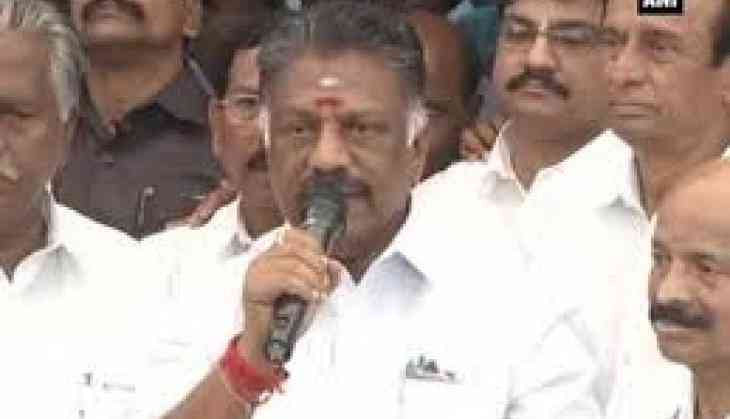 Declaring that the ouster of TTV Dinakaran and Sasikala Natarajan from the All India Anna Dravida Munnetra Kazhagam (AIADMK) was their first victory, former Tamil Nadu chief minister O. Panneerselvam on Wednesday said that talks of the merger will now begin. "Both the factions will talk to fulfil the aspirations of lakhs of party workers. This is our faction's first victory that Sasikala and her family have been ousted from the party," he said. Dinakaran has today refused to step aside from the post, saying he had to discuss it with her aunt Sasikala who had appointed him. Meanwhile, Dinankaran has called a meeting of MLAs and district secretaries today at party headquarters at 3 p.m. today. Late night on Monday, several ministers of the state held a meeting to talk about the possible merger of two factions. This comes after a section of Sasikala loyalists led by Chief Minister E. K. Palaniswami had revolted against her, resolving to "delink" the party and the government from her family, and extending a hand of friendship to the Panneerselvam camp.